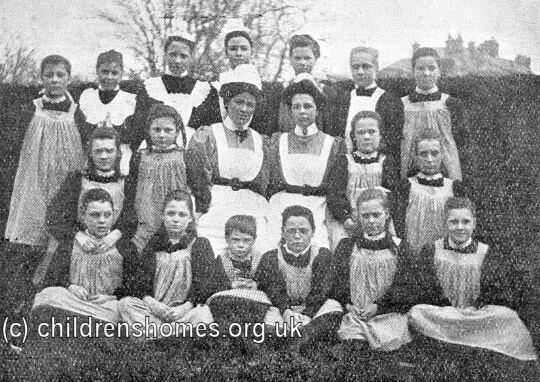 The St Saviour's Home for Girls grew out of the Shrewsbury Cottage Home, an independently run home for 'little girls who have been led into sin, or are unfitted for reception in ordinary Schools or Training Homes.' The home had been founded in 1882 by Miss Butler and became affiliated to the Waifs and Strays Society in 1897. 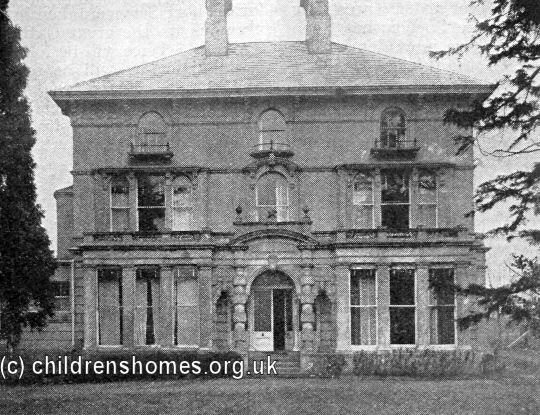 After moving to new premises in 1890 at 3 Belle Vue Gardens, Shrewsbury, the home was renamed St Saviour's. It was fully taken over by the Society on January 1st, 1893. 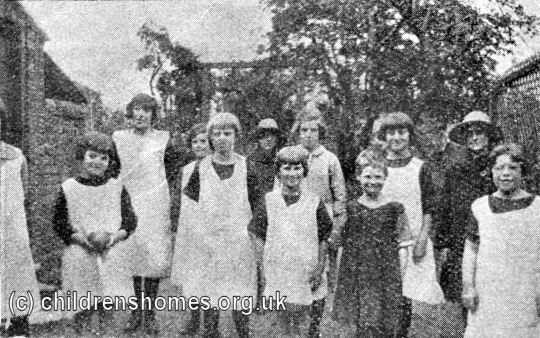 The home provided accommodation for 16 girls aged from 7 to 13. Here is a description of the home from 1893. St Saviour's Home is on the outskirts of Shrewsbury, in an airy situation. with a bright bit of flower garden in front, and a strip, long enough for games and skipping, at the back. The front door is opened to you by a smiling little maiden, and you find yourself in a tiled hall, into which the ground-floor rooms open. Here to your left is the chapel-room, where Bible classes and family prayers and Scripture lessons are held. There are sacred pictures on the walls, and, as a border round them, are painted the words — Grant that they may have power and strength to have victory." Perhaps they may suggest to the chance visitor a prayer "for those who worship therein," and to whom the conflict with the powers of evil may mean a very real and terrible struggle against every memory and association of their earliest childhood. You pass to the next room, and there you see the little inmates themselves; it is the kitchen, where much of their work goes on, and commands a vista through the scullery into the laundry, so that you can watch needlework, "washing-up," and laundry work going on. If lessons are going on, you may be shown a sum, or a copy, or those ever-needed performances — patches and darns. The dining-room looks into the kitchen, with a window which acts as buttery-hatch. It has two tables, which can be "folded up" when games or musical drill, instead of meals, are to take place. There are maps on the wall, and two lists, headed "Our Children"; the first giving the names of all who were admitted to the old cottage Home, and the second those who have joined since S. Saviour's Home was opened, not two years ago. A matron's sitting-room and a small waiting-room complete the ground-floor rooms. Mild, obedient, good as He." There are sixteen beds, and it is possible to receive also an "old girl" in an attic upstairs. In 1929, the increasing unsuitability of the Belle Vue Gardens premises resulted in the home relocating to 'The Hollies', a large house on Sutton Road, Shrewsbury. The new home was opened on July 16th, 1929, by Mrs Sawyer, the wife of the headmaster of Shrewsbury School, standing in for Lady Harlech who was unable to attend. 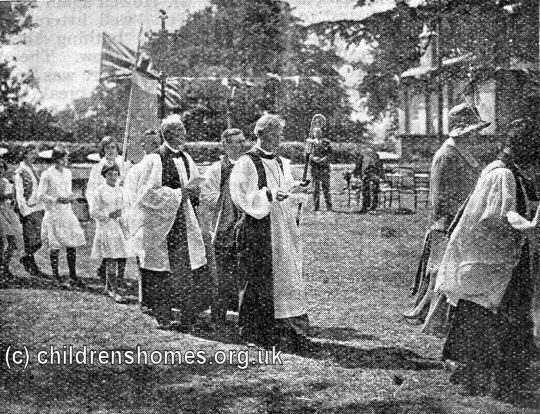 The Bishop of Lichfield dedicated the home, the service beginning with a procession through the garden. 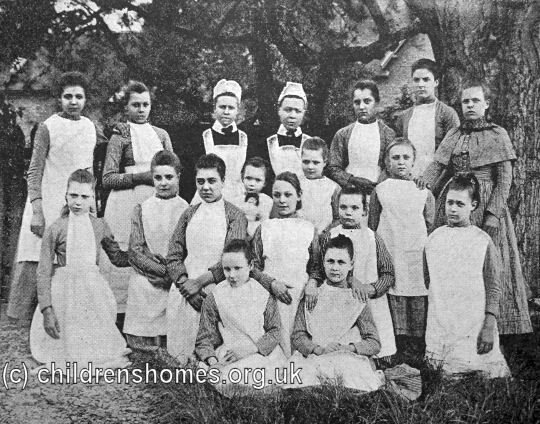 The girls of the home later sang a hymn that the home's founder, Miss Butler, had composed for the dedication of the Belle Vue Gardens home in 1890. Music was also provided by the band from the Society's Standon Home for Boys. 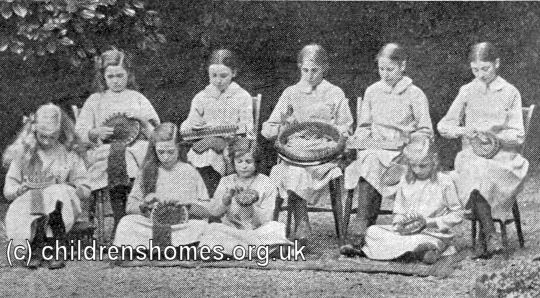 The Sutton Road house provided accommodation for 26 girls aged from 7 to 16. 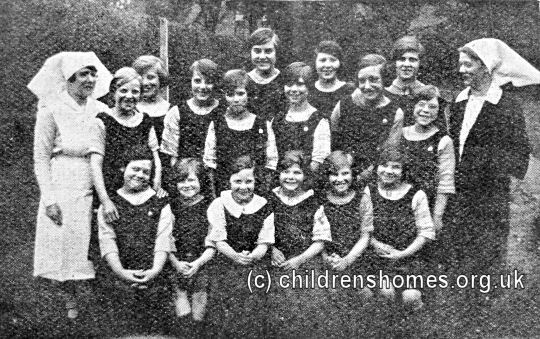 In 1941, the older girls were dispersed to other homes and for the next two years a wartime nursery was opened on the premises. 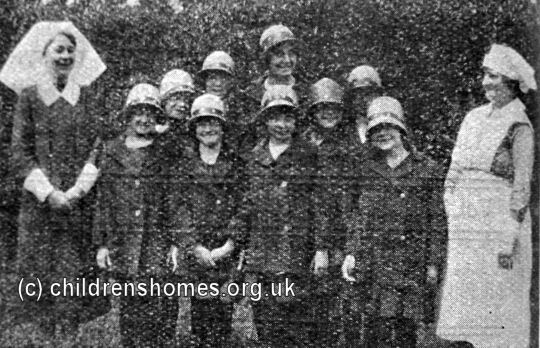 After the war, the home housed then St Saviour's Toddlers' Home which continued in operation until 1949. The Belle Vue Gardens house no longer exists. 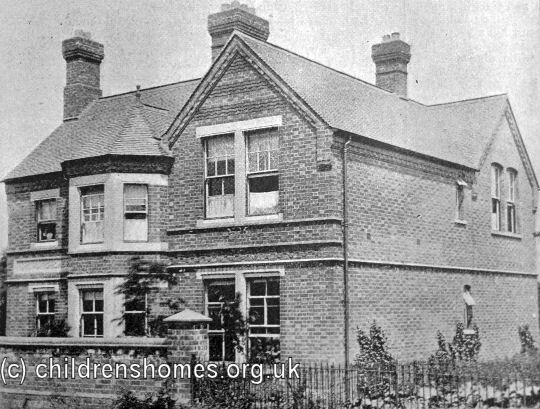 The Sutton road site later became a 'welfare home' and a home for the aged. It is now used as a training centre. 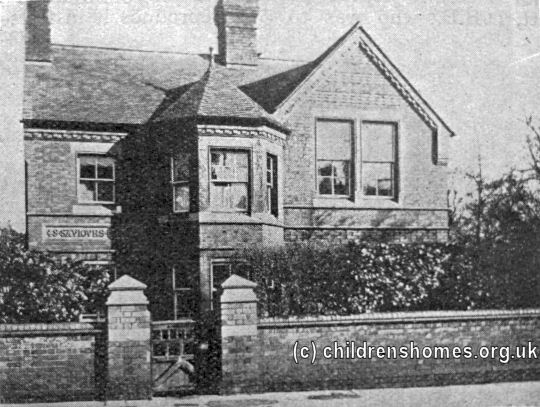 Former St Saviour's Home, Sutton Road, Shrewsbury.